Christoph Brech was born in Schweinfurt in 1964. After his Abitur, he completed an apprenticeship in gardening, followed by 18 months of Zivildienst. From 1989-1995 he studied painting and graphic arts with Professor Franz Bernhard Weißhaar at the Akademie der Bildenden Künste in Munich. In 1998 he completed his first video-film Soap. Since then, video art – in addition to photography and installations – has become the artist’s favored means of expression. Brech’s work centers on the themes of time, transience and remembrance. Music, and the possibility of its visualisation, intrigues him. In this context he has worked with the singers Christoph Prégardien and Andreas Scholl, and with the conductors Christoph Poppen (2001), Mariss Jansons (2006) and Kirill Petrenko (2016-17). A video portraying the French string quartet, Quartuor Ebène was made in 2009. The baritone Wolfgang Koch was filmed in 2013 for the Portrait Gallery of the Bayerische Staatsoper. Brech was Artist in Residence in Montrèal, Canada, in 2003-04; he was awarded a scholarship for the Villa Massimo in Rome 2006. In that year he won the Will-Grohmann-Prize of the Akademie der Künste, Berlin. In 2008 Christoph Brech represented Germany in the international video exhibit “Mutations II/Moving Stills”. 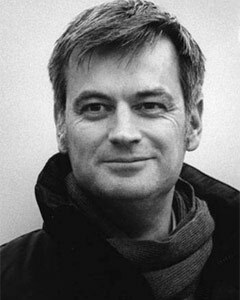 He created the video sequences for Dante’s Descent into Hell (Kammerspiele Mainz, Rheinsberger Festspiele and Theater Rudolstadt); for Georg Friedrich Händel’s Oratorium Israel in Egypt, Nürnberg, and the dome-projection accompanying Olivier Messiaen’s "Quatuor pour la fin du temps" for the Nicolaus Copernicus Planetarium in Nürnberg (2012). He made his debut as a director with “Eine Alpensinfonie” by Richard Strauss which premiered in 2016 at the Rheingau Music Festival in the Kurhaus Wiesbaden. Together with Nicola Borgmann, he won the international competition for art in the annex (Marie Elisabeth Lüders Haus) of the Deutsche Bundestag in Berlin. When the construction is completed, the closed-circuit video-Installation Blickwechsel will be shown in the extension’s restaurant. Christoph Brech was awarded the Kunstpreis Berlin 2018 in the section film- and mediaart. 2018 he is guest of honour at the Centro Tedesco di Studi Veneziani. Christoph Brech lives in Munich.